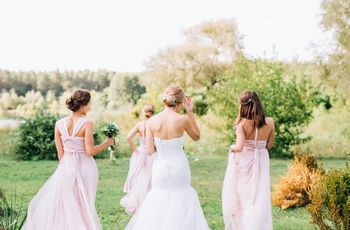 Ready to ask your future bridesmaids to be in your wedding party? Bridesmaid proposals are a great way to show your crew some love and kick off the wedding festivities. Here are some of our favorite bridesmaid proposal ideas. 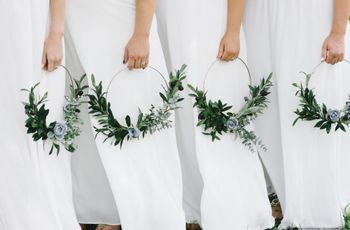 Now that your significant other has popped the question to you, it’s your turn to do the same for the members of your bridal party — enter bridesmaid proposal ideas. 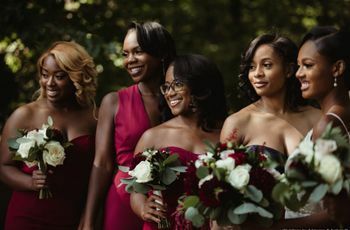 These days, brides are getting more creative than ever before when it comes to “bridesmaid proposals,” or asking their close friends and family members to stand next to their side on the most important day of your life. Because, weddings are hardly just like any other day, so why should this question be like any other you’ve asked your gal pals before? 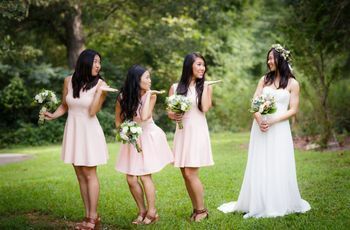 However you choose to pop the “will you be my bridesmaid?” question is up to you, but if you’re looking for some inspiration, check out these trendy bridesmaid proposal ideas. Bring back one of your favorite candies from the ‘90s—the Ring Pop—for your bridesmaid proposal. After all, you did just get a ring yourself—why not share the wealth with your besties? 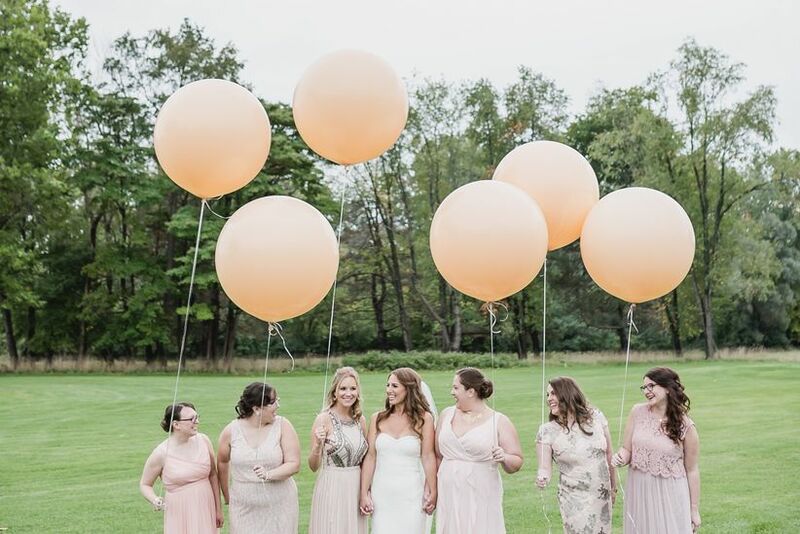 There are tons of ways to bring this bridesmaid proposal idea to life, but one of easiest is to order the Ring Pop candies online (your local Target should have them too!) and then purchase paper boxes in which you will place the ring. This is the fun part: Add personal touches that make your friendship special. For example, you could print out photos of the two of you over the years you’ve been friends—or family. This is a fun and sentimental way to pop the question. No, we don’t mean confuse! Instead, gift your bridesmaids a custom-made jigsaw puzzle that asks them the big bridesmaid proposal question once the puzzle is complete. 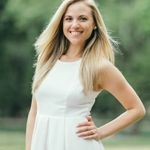 There are plenty of online stores you can purchase this kind of a bridesmaid proposal gift, and most allow you to customize your question and include your name. This one, from Zazzle, is under $20 and includes personalization, which allows you to write your own text and even select your desired colors—perhaps ones that go along with your wedding theme! Name a friend who doesn’t like chocolate. Okay, you might be able to, but chances are, most, if not all, of your bridesmaids are big fans — so why not incorporate it into one delicious bridesmaid proposal gift? You can now personalize your very own M&M's, not only with colors of your choosing, but with customized images (like you and your BFF), clipart that you can upload and, of course text, such as “Will you be my bridesmaid?” How cute! Other sweet bridesmaid proposal ideas included calligraphed macarons, customized donuts, and more. “In today’s culture, many value experiences vs. ‘stuff,’” says Sachs. “Don’t weigh your proposal on how much you spend, but instead, how thoughtful your proposal is.” She suggests avoiding the generic bridesmaid proposal by creating something unique for each bridesmaid, such as a scrapbook of your favorite memories together or a handmade collage that you can have framed for her to hang in her home (or she-shed!). “Your bridesmaids are sure to remember and appreciate this experience more than what’s inside a box,” adds Sachs.